September 2 is Patrol Police Day in Russia. This professional holiday was established to commemorate the issuance of the “Instruction for Patrol Militsioners” (i.e. militia officers) in 1923. The patrol police is the most numerous division of the police of Russia. Before the Russian police reform of 2011, it had been known as patrol militsiya. 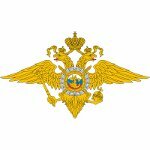 The patrol police is part of the Main Directorate for Ensuring Public Order and Coordinating Interaction with Executive Bodies of Russian Regions. The main goals of the patrol police are prevention and suppression of disturbances in the streets and public places. Patrol Police Day was established to celebrate the significant contribution of Russia's patrol police to the maintenance of the public order. On this day, excelling patrol policemen are awarded by their superiors. To date, more than 5,000 Russian patrol policemen have been awarded with state awards for their courage and heroism in the line of duty. Patrol Police Day is not a non-working holiday, unless it falls on a weekend.